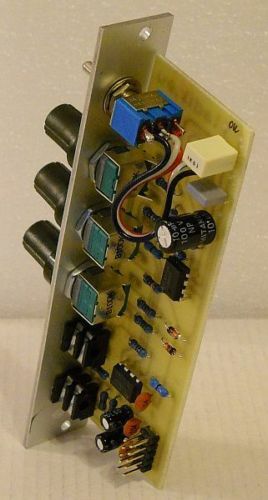 L-110 LFO module for eurorack / Doepfer A100 system. Replaced by L-111. Smoothly variable between saw-tri-inv.saw output (4V p-p) with adjustable DC offset (0/4Vp-p to -4/0V p-p). Variable pulse width output (at fixed voltage +10V/-10V).